Miss Mundo Argentina 2018 concluded its grand finale on 29th April 2018 at the event finale held in Shertaon Libertador which was telecasted on www.benedicelacorona.com at 10 PM. At the end of the coronation night, Victoria Soto representing Entre Rios was crowned Miss Mundo Argentina 2018. Victoria Soto succeeds and was crowned by the outgoing Miss Mundo Argentina 2017 Avril Marco. Victoria will now represent Argentina at the upcoming coveted Miss World 2018. The 25-year-old considers herself a very passionate, cheerful and extroverted person. She loves to travel and socialize. “I always listen to what my heart dictates and I do not give up easily”, says the beauty queen. Victoria has also participated in numerous beauty contests at Provincial, National and International level representing her country in Uruguay, Ecuador and Mexico where she has had the pleasure of obtaining the maximum awards in more than ten of these events, opening the doors to her to know other cultures, other languages and achieve true personal growth. Miss Brasil Mundo 2017 Gabrielle Vilela also graced the national competition with her presence. Mario Guerci, a TV host, model and actor was the host of the dazzling evening. 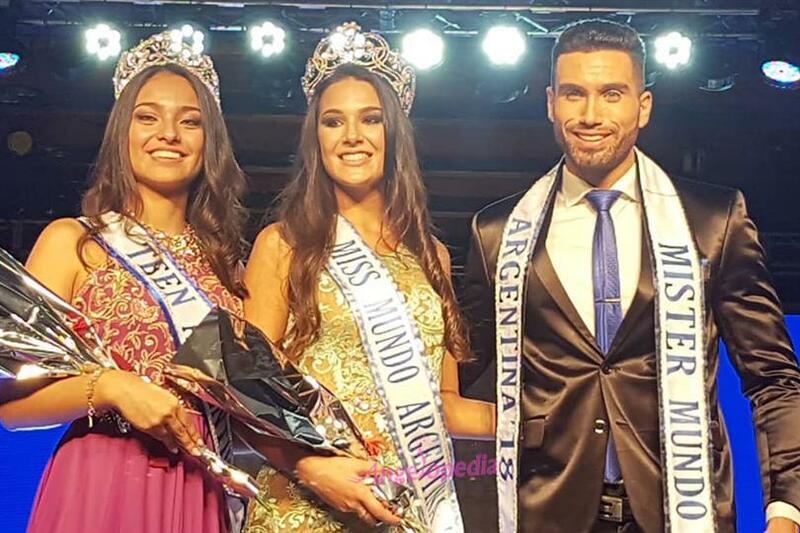 The grand finale also saw the crowning of Mister Mundo Argentina 2018 Franco Luciano Touceda and Miss Teen Mundo Argentina 2018 Sofia Urzagasti.